The Quest brand brings you this 20 Litre Classic White Microwave. 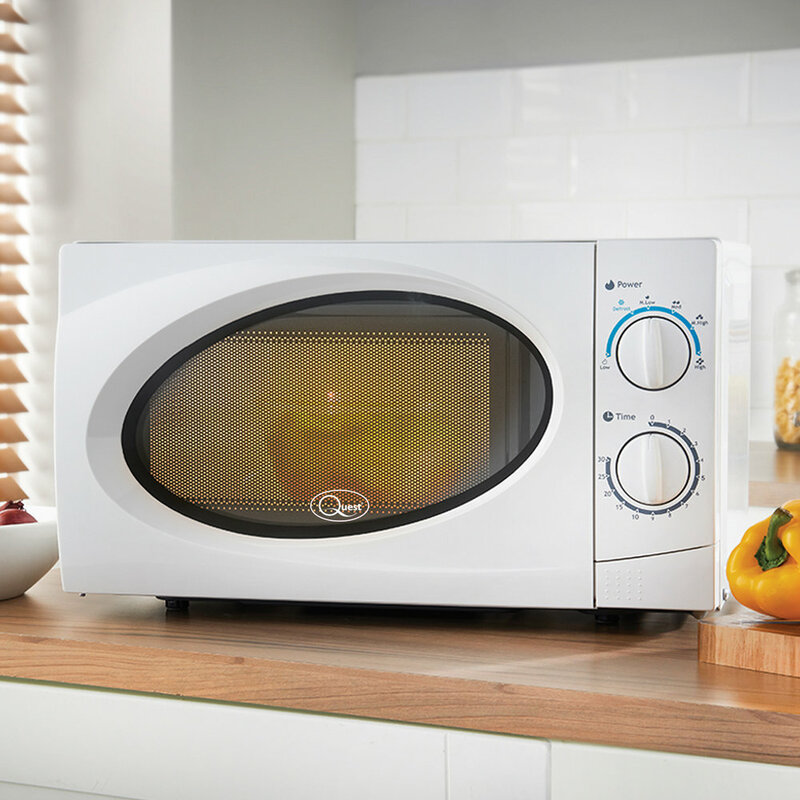 Taking up less space in your kitchen, the compact size allows you to place the microwave anywhere you like while still offering 20 litres of cooking capacity. 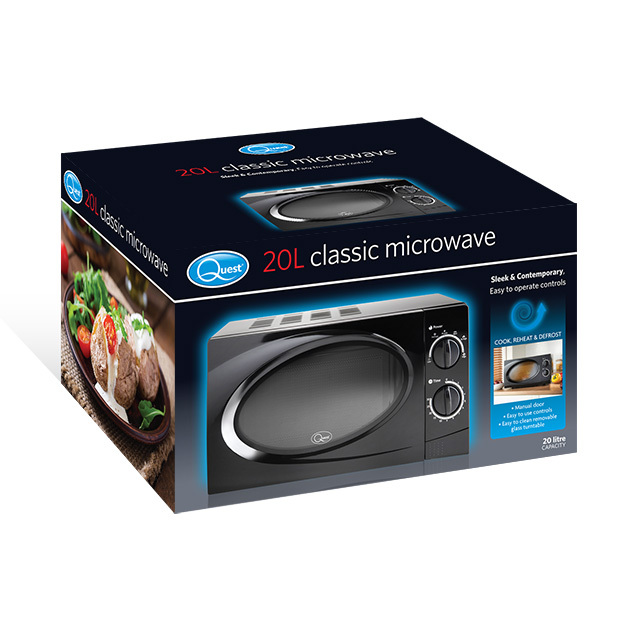 Sleek & contemporary stylish 20L Classic Microwave. This powerful 700W 20L Classic White Microwave is perfect for cooking, reheating & defrosting food! 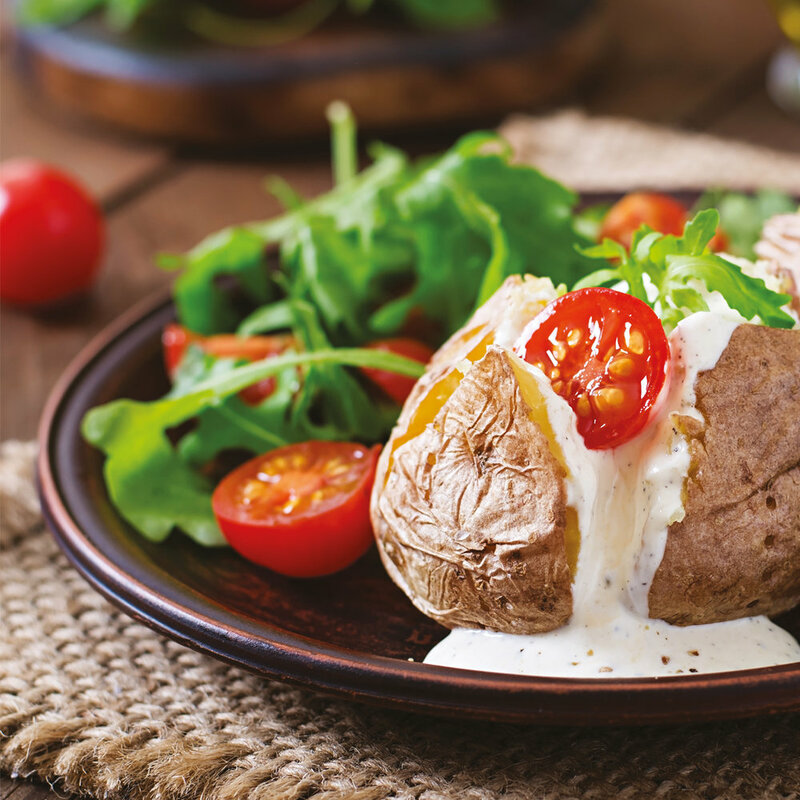 Designed with practicality in mind, this simple yet elegant appliance is ideal for cooking, heating up and defrosting meals. Making life just that much easier! The simple machine has a 700 Watt maximum power output with 6 power settings and classic dial timer. 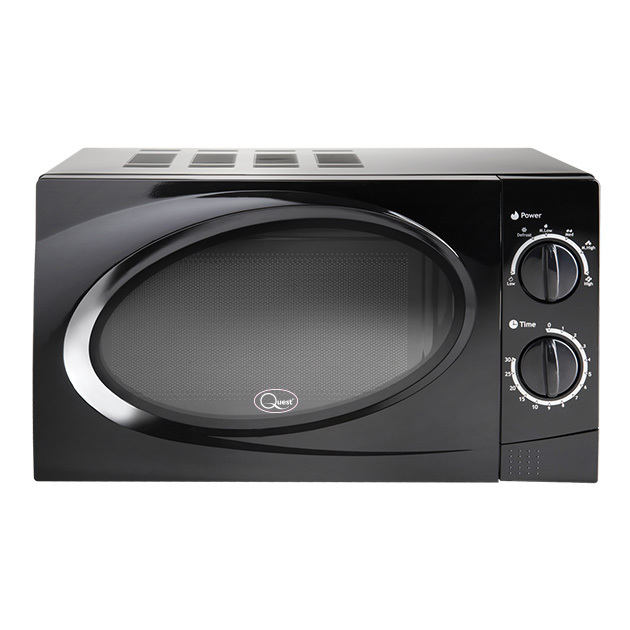 This classic 20 Litre microwave is available in both white or black to fit into most kitchen decors.